Looking for a leading wedding and event venue in Southern California? It’s time to stop over at the award-winning Trump National Golf Club Los Angeles to plan your next wedding or special events in a beautiful way. The Trump National Golf Club is based on the bluffs of the Palos Verdes Peninsula. It offers the sweeping views of the glittering Pacific, the spectacular coastline, and picturesque Catalina Island. 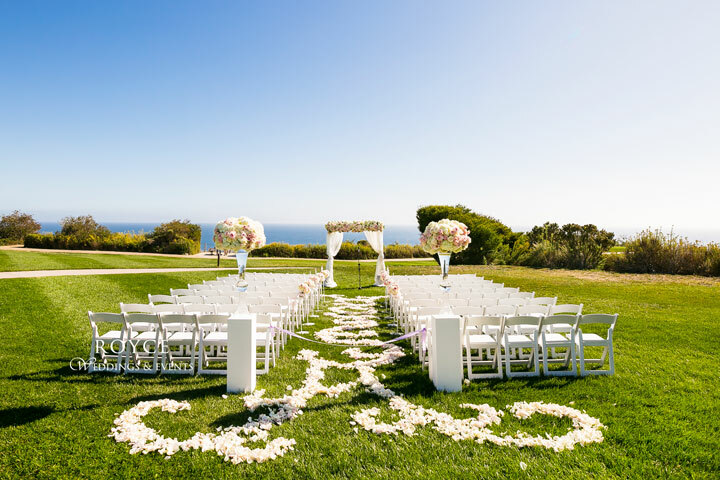 If you are seeking for wedding venues with 180 degrees of striking coastline and ocean views, nothing can beat Trump National Golf Club for weddings in Los Angeles! It has a Grand Ballroom to host your wedding, banquet, or charity gala with seating capacity for 300 or more guests. The ballroom is adorned with state-of-the-art, hand-carved limestone fireplace and appealing French doors. You’ll find elaborate crystal chandeliers and a well-covered loggia balcony – which make this venue a serene and content as the ocean itself. The Trump’s Room is a smaller reception banquet space, located on the top floor of the clubhouse and has a capacity of over 100 people. Blessed with panoramic views of sunset and a beautiful embellished gilded ceiling, this room is a striking location to host intimate wedding under 100, corporate meeting, rehearsal dinner, or a special event. All the event rooms at Trump National Golf Club feature magnificence of the coastline and the Pacific Ocean. The awe-inspiring Vista Terrace boasts the allure of the Pacific Ocean, offering a backdrop of pure enchantment and beauty. The guests attending Trump National Club weddings enjoy the Modern American Cuisine and describe as a “New Level of Sophisticated Dining”. The American Academy of Hospitality Sciences also states that as the “Best Dining in Los Angeles”. Remember that, each and every wedding at the Trump National is personalized and exceptional. You can customize everything from cakes to menus, and more. On your special day, you and your guests will enjoy a memorable wedding experience . This venue looks forward to fulfilling your lifelong dream in the most striking and secluded venue on the West Coast. 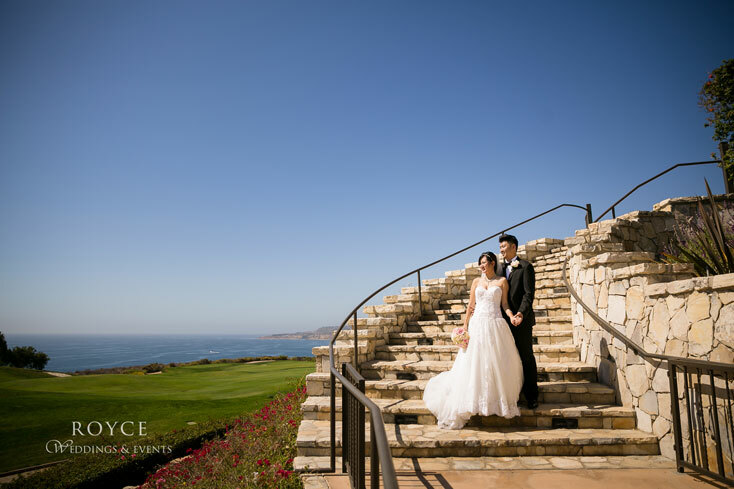 Discover the specialties available at Trump National Golf Club for weddings through Royce Weddings & Events and know why the venue is the most anticipated one in Southern California. Contact now to speak with our professional event planners and understand more about planning your unforgettable occasion at Trump National Golf Club, Los Angeles!